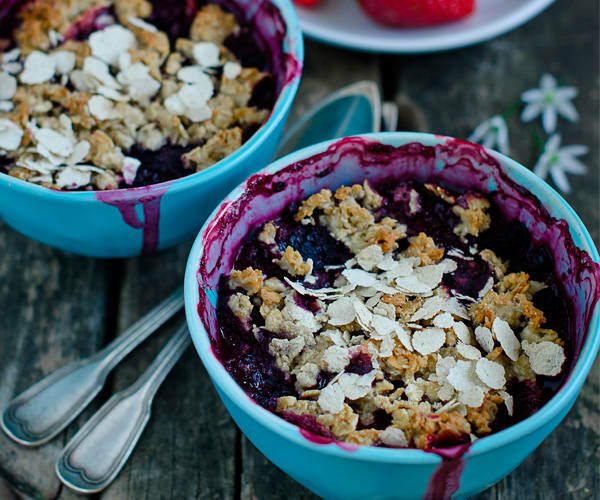 Most traditional Blueberry Buckle recipes contain more than ½ cup of sugar. Sure, it’s is divided between the crust, the filling, and the streusel on top. But, in the end that is still a ton of sugar. There’s no need to bother with the downside of having a whole Blueberry Buckle on the counter (because you know I will totally eat the whole thing if you give me the chance.) What makes this classic dish so irresistible are the fresh blueberries, baked until they’ve melted into a decadent melange of berry goodness. If you love the flavor of Blueberry Buckle but are sticking to your healthy eating plan, then look no further than our recipe for Blueberry Buckle Granola. 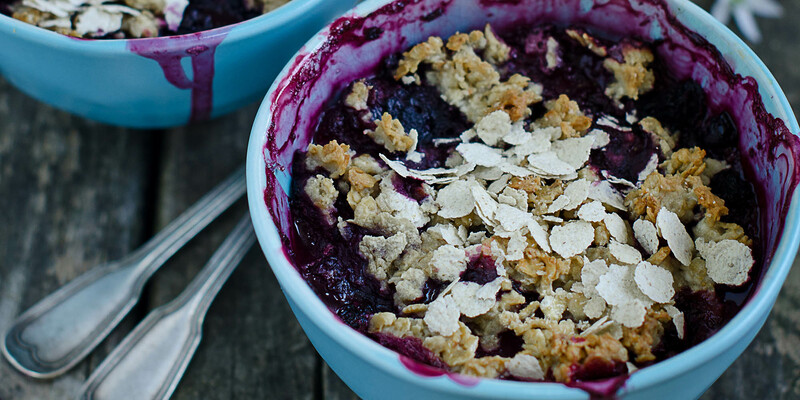 Try this healthier take on blueberry buckle! Combine maple syrup, oil, and extract in a small bowl; whisk to blend. Set aside. Combine oats, blueberries, almonds, cinnamon, and salt in a large bowl; toss gently to blend. Add syrup mixture; toss to evenly coat oat mixture. Place on prepared baking sheet. Bake for 20 minutes, stirring twice during baking. Cool granola completely, stir, and break into pieces (if needed). Store in an airtight container for 1 to 2 weeks.